Randolph Cemetery, Columbia, S.C. The two United States Colored Troop regiments that mustered in and trained on Rikers Island each had one Black commissioned officer -- a chaplain. The 20th USCT Regiment's chaplain was George W. LeVere; the 26th's was Benjamin F. Randolph. Apparently the 31st USCT regiment that mustered in and trained on Hart Island had no Black commissioned officer. No listing for one has been found. The lack of one was not rare among USCT regiments. Although USCT regiments numbered close to 170, with troops numbering around 200,000, only about 120 Black commissioned officers were spread among them. After his Civil War service, the Rev. 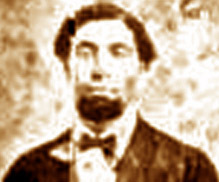 Randolph, who was a "Freeborn" from Kentucky, went to South Carolina with the Freedmen's Bureau (official title: The Bureau of Refugees, Freedmen and Abandoned Lands). The bureau, established in the War Department by an act of March 3, 1865, supervised all relief and educational activities relating to refugees and freedmen, including issuing rations, clothing and medicine and also assumed custody of confiscated property in the former Confederate States. The "learning" his application cited would have included his education at Oberlin College, Ohio (1854-57, 1857-60). Soon Randolph found where he could be "most useful to [his] race" -- playing a leading role in bringing about the first and only time in U.S. history that Black legislators outnumbered whites in any state legislature. With Union military holding sway over South Carolina and with freed slaves voting for the first time, Blacks gained majority control in the legislature. Randolph was elected State Senator for Orangeburg County and served as state chairman of the Republican Party in South Carolina. But, he was gunned down in broad daylight by three white men as he stepped from a train at Hodges Depot, Abbeville County, Friday, October 16, 1868. He had been aware of, yet accepted, the mortal risks entailed in seeking to keep alive --despite the KKK terrorist violence -- the voting franchise so dearly and recently won by "freedmen." 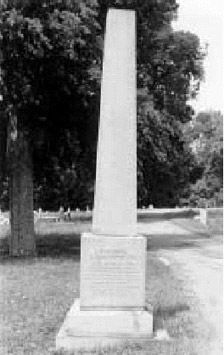 Three years latter, 19 Black men founded in Columbia, S.C., the Randolph Cemetery (see images above) as a memorial to him. It was one of many cemeteries established in the South after the Civil War by African-Americans whose deceased were excluded from burial in "white" cemeteries. So Randolph's "usefulness" to his race continued even after his own death. In Memoriam, B. F. Randolph, Late Senator from Orangeburg District and Chairman, Republican State Central Committee, who died at Hodges Station, Abbeville District, at the hands of assassins on Friday, Oct. 16, A.D. 1868. The memorial cemetery is listed in the National Register of Historic Places. Information about Randolph can be found in Freedom's Lawmakers: A Directory of Black Officeholders During Reconstruction, New York: Oxford University Press, 1993. After his Civil War service, the Rev. LeVere became the first pastor Shiloh Presbyterian Church of Knoxville, TN. The date was Feb. 9, 1866. The church had been organized only five months earlier. LeVere, born in Brooklyn and educated in schools there, had read theology under a Dr. Starrs and had served as a pastor and teacher in a day school under the auspices of the General Assembly for Freedmen. While LeVere served as Shiloh minister, the church purchased a lot at the corner of Henley St. and Clinch Ave. on which a frame building was erected on it at a cost of $3,300. When the congregation outgrew that building, a new one was erected in 1875. Rev. LeVere served as the supervisor of the Shieldstown School on Linden Ave. He helped form the Colored Mechanics of Knoxville, serving as an officer. Long active in Freemasonry among African Americans in Tennessee and elsewhere, he served as grand master of the National Grand Lodge, Free & Accepted Ancient York Rite Masons, Prince Hall Origin, National Compact, 1877-1886. Prince Hall, one of Boston's most prominent citizens during the Revolutionary period, was the founder of the African Lodge of the Honorable Society of Free and Accepted Masons of Boston, the world's first lodge of black Freemasonry. He died in 1807 at the age of 72. A year later, his lodge honored him by changing its name to Prince Hall Grand Lodge. Most African American Freemasonry traces back to Prince Hall Lodge. Rev. LeVere retired as Shiloh pastor in 1884 and died in 1886 . WEBMASTER NOTES ON SOURCES AND RESOURCESThe starting point for this presentation was the listing of U.S.C.T. and Commissioned Officers of African-American Descent on the web site of the Missouri Commandery of the Military Order of the Loyal Legion of the United States. MOLLUS, founded in 1865 shortly after the Lincoln assassination, had as its original members the Commissioned Officers of the Union Army, Navy and Marine Corps. Today MOLLUS is composed of the descendants, either directly from any commissioned serving officer or through the brother or sister of such officer. The two Benjamin F. Randolph images above -- head-and-shoulders and full length -- are from a web page South Carolina's 1868 Radical Members of the Legislature authored by E. E. Vaughn. Besides the images, it is an excellent source of information. Click either image to access it. 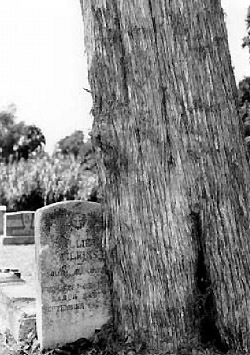 The two Randolph Cemetery images (above) are from South Carolina�s Historic Cemeteries: A Preservation Handbook by Susan H. McGahee and Mary W. Edmonds on the web site of the South Carolina Department of Archives and History. Besides the images, it is an excellent source of information. Click either image to access it. The web site of the Most Worshipful National Grand Lodge Free & Accepted Ancient York Rite Masons lists among its Past National Grand Masters George W. Levere of Tennessee from 1877 through 1886. Even cursory reading of African American Masonic web sites indicates strong differences over the roles of the National Grand Lodge and Grand Master LeVere in the movement's history. Aside from noting their existence, discussion of those differences here would beyond the purview of this presentation. Two non-Masonic web pages mentioning George Washington LeVere originated as newspaper columns by free-lance writer Robert G. Booker, former executive director of the Beck Cultural Exchange Center in Knoxville. One column -- from the Knoxville Journal -- was inserted in the Congressional Record to note the 126th anniversary of the Shiloh Presbyterian Church. The other, from the Knoxville News in 2003, concerned clean-up of the Odd Fellows Cemetery. No web image related directly to George Washington LeVere was found during various internet searches. But found were several images related to Prince Hall, who started the first African American Masonic Lodge in America. The sketch of Pince Hall in a powdered wig is from The Story of Prince Hall and the Prince Hall Masons page on the web site of the African American Historical Museum & Cultural Center of Iowa. The sketch of Pince Hall in a tricorner hat is from the Prince Hall History Page on the web site of the "Most Worshipful Prince Hall Grand Lodge Free and Accepted Masons of Massachusetts." Besides the images, the web sites are excellent sources of information. Click either image to access its respected source page.